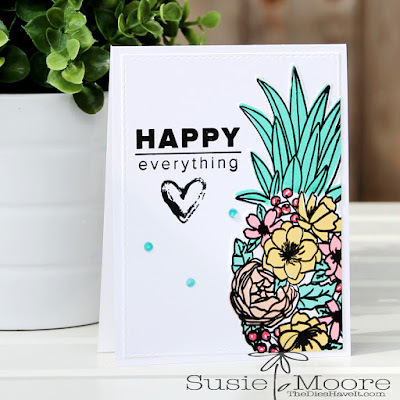 I am still loving the Pineapple Perfection stamp set from Concord and 9th. I stamped and die cut the pineapple and used the coordinating stamps to fill it in. I thought it would be fun to place it to the far left side of the card. I added a sentiment and a few sequins and called it done. I hope you have a great day today. Please know I am wishing you HAPPY EVERYTHING!